Pelvic floor disorders are surprisingly common. After the age of 55, issues like incontinence, prolapse and pelvic pain become increasingly prevalent and by age 80, one out of two women will have experienced some form of pelvic floor disorder. Two recent studies set out to determine if yoga can help counteract one of the most common pelvic floor issues, i.e. urinary incontinence. The study protocol included yoga practices designed by acclaimed yoga teachers Judith Hanson Lasater and Leslie Howard, experts in yoga for pelvic floor disorders. Results were encouraging, showing as much as a 74% decrease in urinary incontinence in the study group randomly assigned to yoga practice, suggesting that yoga could offer a cost-effective, self-management solution for better bladder control. The consequences of incontinence go beyond the physical discomfort. It causes emotional distress and for many, a disruption to the activities of daily life. Social consequences can be equally devastating, as women avoid engaging in activities they think will worsen the condition or cause them embarrassment, including exercising and even intimacy. Incontinence can affect both men and women of any age, but it is most prevalent in middle-age and older women. And while many are reluctant to seek help or even talk about this embarrassing condition, it’s widespread: The number of US women living with some form of incontinence is estimated to be 20 million in 2018. This is no small consideration with a population of Baby Boomers moving into their sunset years, making the recent studies on the benefits of yoga for incontinency even more timely. The two recent studies, a small pilot program and a larger randomized trial, were conducted by a research team at the University of California in San Francisco. In both cases the objective was to test both the viability and efficacy of yoga as an alternative to more expensive medical interventions for urinary incontinence, such as one-on-one physical therapy or surgery. Noting that yoga’s successful roll in behavioral treatments for other chronic health conditions such as low back pain, cancer-related symptoms, and hypertension, the research team hypothesized that yoga could help by raising body awareness and increasing muscular control via specific postures. This would empower women to identify and strengthen their pelvic floor muscles, thereby reducing the need for more traditional (and costly) interventions. In addition to the benefits offered in overall health, tone, and well-being, yoga offers breathing and mindfulness techniques that can address the perceived stress, anxiety, and autonomic nervous system imbalances associated with higher risk of some types of incontinence. Urinary incontinence falls into one of four categories: Stress incontinence, urge incontinence, overflow incontinence, and functional incontinence. Of those, stress incontinence–which is associated with behaviors that put momentary pressure on the bladder such as during exercise, coughing, sneezing, laughing, or lifting heavy objects–is the most common type of bladder control issue among middle-aged women. While the other categories are associated with underlying health issues, stress incontinence is often the consequence of musculoskeletal imbalances, such as lack of tone, imbalance, or overuse of pelvic floor muscles, which can be effectively addressed via yoga practice. The yoga protocol for the pilot study was designed by yoga therapists Judith Hanson Lassater and Leslie Howard, both experienced Iyengar teachers who are well-versed in working with people with pelvic floor issues. In devising the practice, Leslie and Judith thought it important to offer bit of pelvic floor anatomy training along with the poses, “We thought it was crucial to give the participants a bit of an anatomy lesson so we brought in an anatomical model to help them visualize what was happening in their bodies as they went through the poses,” Leslie explains. The yoga practice included in the study was geared toward creating greater awareness of the pelvic floor, as well as strengthening where necessary and learning to appropriately rebalance and cue the pelvic floor muscles. Standing poses were used for strengthening areas of weakness, while hip openers and forward bends were employed stretching and releasing areas that were tight. The pilot study included 20 women between the ages of 40 and 65. Half were randomly assigned to take part in a six-week yoga therapy program, with the other half served as the control group. At the conclusion of the pilot, the yoga group reported a 70% improvement in the frequency of their urine leakage compared to the baseline, a success rate that impressed the research team and was sufficient to obtain partial funding from the NIH for the larger trial. Results of the larger, randomized trial were published in the official Journal of the American Urological Association in April, 2018. This time, participants included 58 women between the ages of 55 and 83 (average age: 66) who reported at least daily urinary incontinence, and who had never done yoga before. The group was randomly assigned to a yoga group and a control group. The yoga group attended a 3-month program that once again consisted of carefully-targeted, twice-weekly yoga classes and once weekly home practice using Iyengar-style yoga techniques. The control group learned a non-specific muscle stretching and strengthening program. Both groups were also given written information and brief instruction on behavioral UI management techniques, such as pelvic floor exercises and bladder training. Once again, the results were impressive: Over 3 months, the frequency of urinary incontinence in the Yoga group decreased by 74% vs. 51% in the control group. There were no reports of adverse effects from the yoga-based intervention. 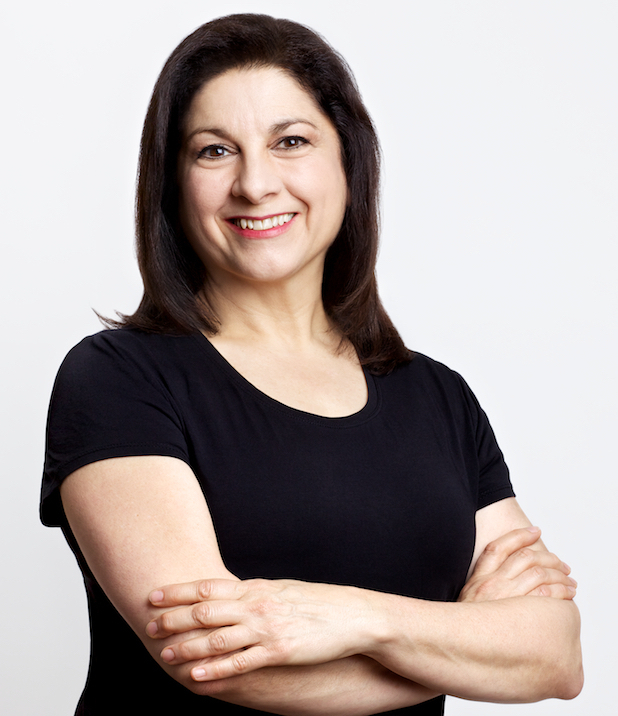 Lynn Crimando, MA serves as the teaching mentor for YogaUOnline's Wellness Educator Program. She is a yoga teacher, C-IAYT Yoga Therapist, board-certified Health and Wellness Coach, and a Buteyko Practitioner. She has a private practice in New York City and teaches classes throughout the city on behalf of Health Advocates for Older People. In addition, Lynn is on the faculty of the IAYT-approved Yoga Polarity Therapist Training in Malverne, New York. To learn more about Lynn, visit her website: yogalynn.com.